Windrush Juniors was founded in 2014. 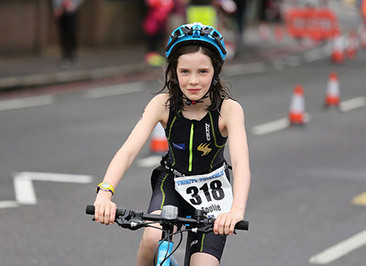 Our emphasis is on participation and enjoyment but we aim to support each junior athlete at whatever stage of triathlon they are at. We have over 50 junior members who participate in training sessions and various triathlon competitions. We are a family friendly club and encourage parents and siblings to get involved where possible. We coach 8–15 year olds in mixed gender and ability sessions. Where and when you train? Do you need to have prior triathlon experience? Absolutely not! 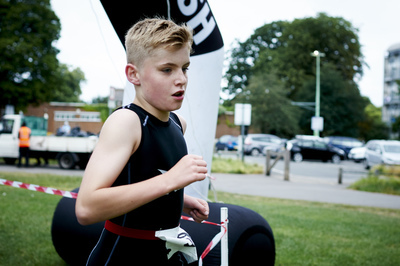 Windrush's mission is to introduce everyone regardless of experience to the sport of triathlon. If you do have experience let the coach know via the sign up form. Velodrome – a working, safe bike, water bottle, layers of clothes, trainers or bike shoes, gloves. HELMET – No helmet, no ride. Run skills – trainers, shorts or leggings, t-shirt, sweatshirt if cold. Water bottle. How do I join Windrush Juniors? As with adult membership, juniors membership can be purchased through MyClubhouse. A step-by-step break down of how to pay the annual membership fee can be found on this page. How can I support the Juniors? The junior section maintains subsidised pricing to allow as much community participation as possible. The section is 100% run by volunteers. If you are interested in volunteering please get in touch. We're always on the look out for sponsors and funding partners to work with to help us to develop the club. If you're interested in partnering with us please get in touch. Baird have been our Junior squad sponsor for 2017. Thanks to their generosity we were able to offer subsidised kit, free entry to Hever Castle and also an end of season party. Baird also sponsored the junior aquathlon and the smoothie stand. We encourage our juniors to participate in the London league group of events. Each year we also have a club champs such as Hever Castle triathlon. After events like Crystal Palace we have social gatherings to support our athletes and get to know everyone in a social setting. We also have an annual party (normally involving pizza) to look back on the year and celebrate success in both training and events.